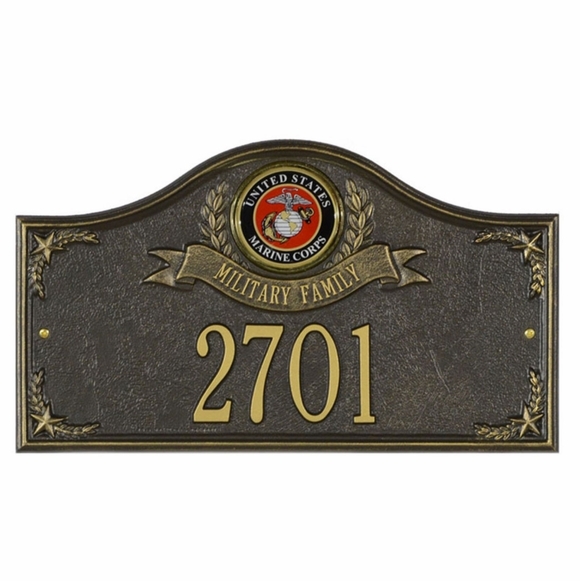 Personalized US Military Family Address Plaque - - contains a full-color Army, Navy, Air Force, Coast Guard, or Marines medallion; a Military Family banner; and one or two lines of your personalization. Available for either wall mount or lawn mount. Proudly made in USA just for you. Plaque was very well made and seems durable.